Camp’s quarter-mile-long tubing run has three turns and gives you an amazing ride! We provide the tubes, helmets and the ride back up, you provide the fun! Learn to Backcountry Ski at camp! Brandon “Tuna” Bergey is a trained Ski Instructor who is excited to teach anyone willing to try! 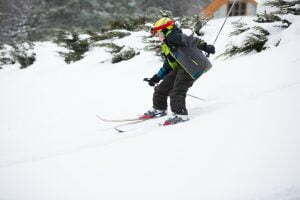 We have our own special skis that allow campers to try cross country and downhill skiing. Are you ready for the 7th Annual Snow Ball Olympics?! This group activity contains a variety of snow-related competitions. Get your flaming torches ready, it’s time for the Olympics! 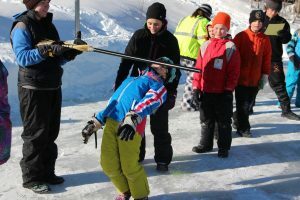 Broomball is a fun and unique winter sport played on an ice rink! Work together as a team to sweep the ball into the opposing team’s net. You have to pass a lot because it’s hard to move quickly on ice! There are two excellent places at camp for some awesome night sledding. We’ll start a fire, set up lights, bring out the smores and then go at it! 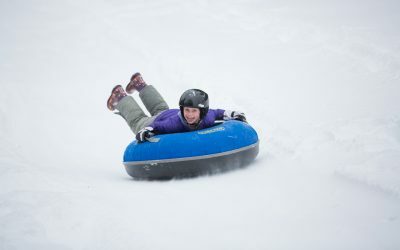 We provide some sleds, but you can bring your own as well! 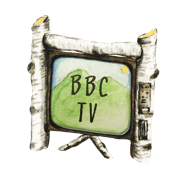 BBC is nestled in the beautiful Green Mountains of Vermont. This setting helps makes for some awesome safaris, scavenger hunts, animal tracking, and other adventures! At Winter Camp, campers create crafts unique to the Winter Program: Penguin puppets, snowflakes, handmade pillows, and more! Campers also love warming up by the fire to play games like Spot It, Apples to Apples, and Dutch Blitz. No need to cook your own food during Winter Camp! We have a wonderful kitchen team ready to serve up hot meals all weekend long! 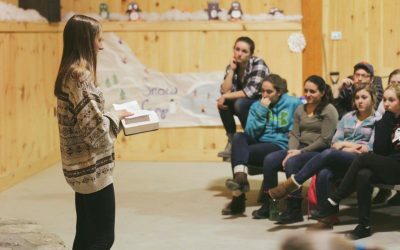 Meals like Pancakes, Lasagna, Grilled Cheese, and, of course, Baked Oatmeal are common at Winter Camps. Registration is Friday (6:30-7pm). Pick up is Sunday (2:00pm). Shuttles will be available at the bottom of Lynds Hill Road in case of inclement weather, Call the office or check online for more information the day camp begins.